Go iPave is the pavement industry’s go-to resource for online property measurement . 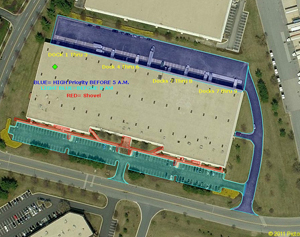 Thousands of contractors across the country are using Go iPave to measure, parking lots, roads, driveways and more. 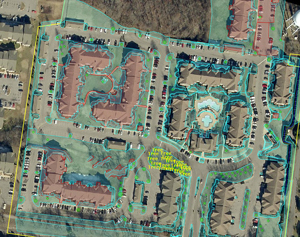 Go iPave’s high resolution property photos and point-and-click measuring tools allow contractors to create accurate proposals faster and better than ever before. Powerful tools help you easily measure the hard-to-measure. The property you need to measure isn’t a perfect rectangle? No problem! 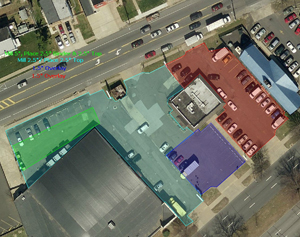 Go iPave’s point and click measuring tools allow you to measure parking lots and roads of all shapes and sizes. Property photos double as an awe inducing sales tool. When it’s all said and done you can print out labeled, color-coded high resolution property photos that explain your job execution strategy to your clients and crews. Learn more about our solutions for pavement maintenance contractors. Or get started with a FREE 14-day trial. Measure Properties Faster. Accurately measure odd shaped lots and large jobs like HOA’s in half the time it takes to measure the traditional way. Accurately Estimate Equipment and Materials. Use Go iPave property measurements to help you estimate deicing materials and equipment needed to properly clear walks, streets and lots. Plan for event management. Identify speed bumps, lot obstacles, storm water drains, lot entrances, handicap stalls etc. with Go iPave’s high resolution aerial property photos. Explain your job execution strategy with photos. Create site diagrams for property managers, office staff, crews and subcontractors with detailed information such as where the snow will be piled, what equipment will be used and when the property will be serviced. Quickly quantify materials and equipment needed to get the job done. Not only can you measure square footage of turf, beds, parking lots etc., you can calculate how much mulch you need with Go iPave’s volume calculator. 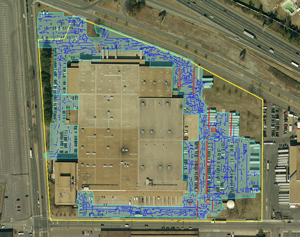 Boost job site efficiency and performance with detailed Go iPave site maps. Distribute color-coded site maps to office staff, customers and crews, and everyone is literally on the same page. Learn more about our solutions for landscapers. Or get started now with a FREE 14-day trial. A picture says a thousand words. Browse our user photo gallery to see how Go iPave users (actual contractors) measuring more properties and winning more work. Get started now with a FREE 14-day trial.